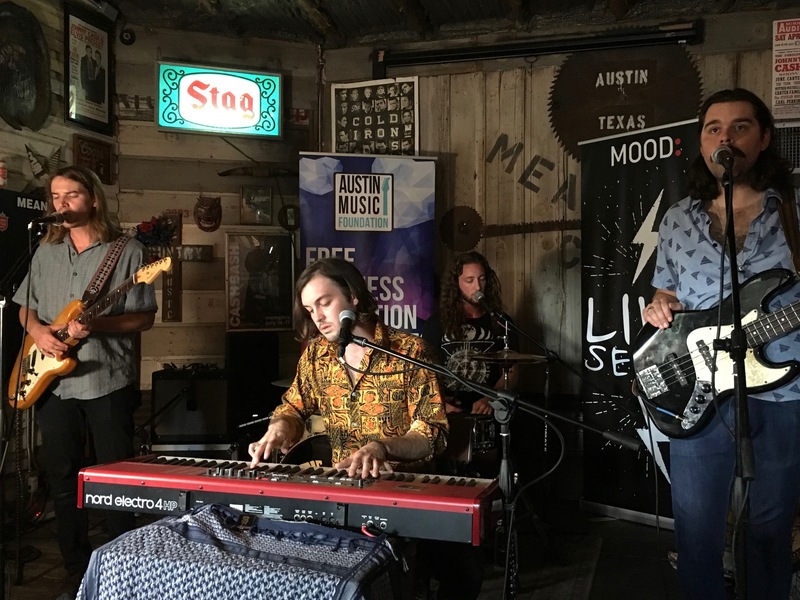 The fourth installment of our monthly concert series, Mood Live, featured Austin Music Foundation’s Artist of the Month, The Mammoths! 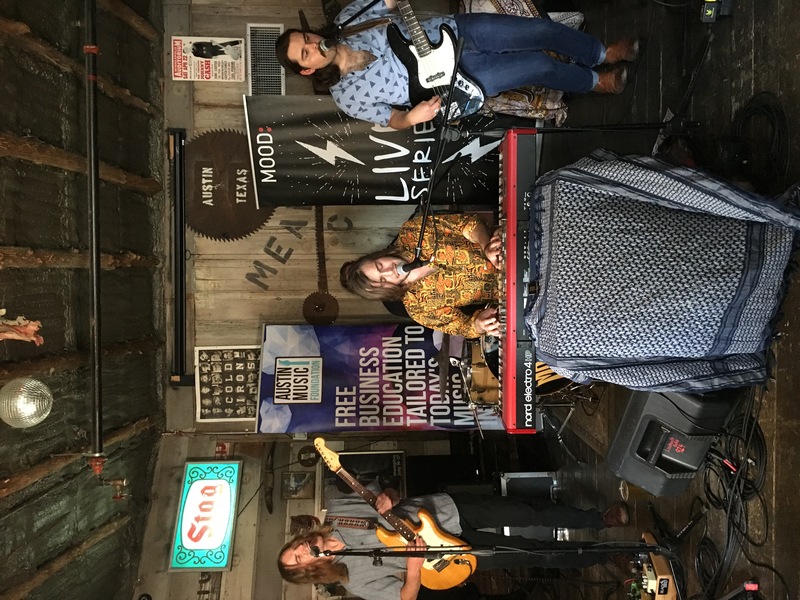 On June 13th, our team, along with our friends at AMF, spent the afternoon at the Mean Eyed Cat listening to The Mammoths’ unique blend of blues, psych and rock while enjoying refreshments from our new sponsors, Independence Brewing Co. Though the band released their debut EP, Golden Spell, this year, three of the four members started collaborating when they were just 13. 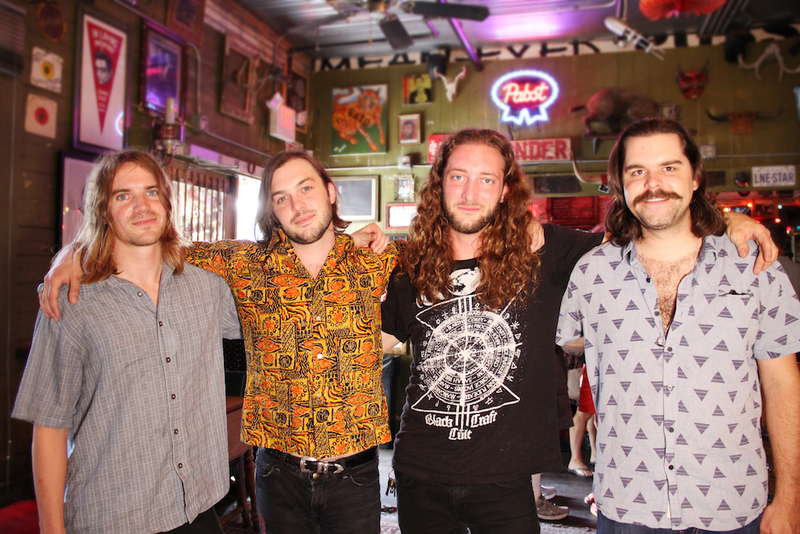 Life took them in separate directions (and to different cities across Texas), but David Kapsner, Michael Jekot and Tyler Rush eventually found their way to the Live Music Capitol of the World. They added percussionist Tim Durand and set out to make their collective dream a reality. After the performance, we sat down with David, Michael, Tim and Tyler to learn more about their influences, why they chose to make Austin their home and what makes their live shows so special. The band is hitting the road for the summer but will back in Austin on August 25th for a show with Otis the Destroyer at Stubb’s. Get your tickets HERE. And keep your ears open while out and about, because we’ll be adding songs from The Mammoths’ debut EP to our playlists so they can be heard in retail, restaurant and hospitality locations all over the world! 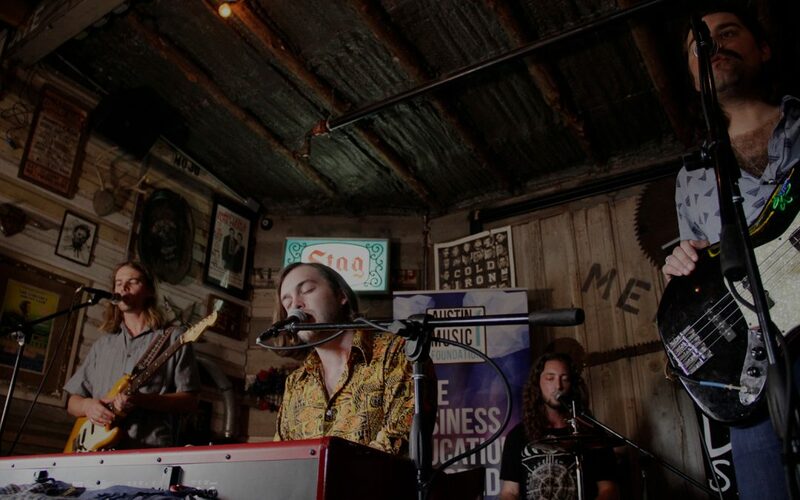 So much love to Austin Music Foundation, Independence Brewing, LoudMouth Rentals and Mean Eyed Cat for all they do to help us support the local music community! 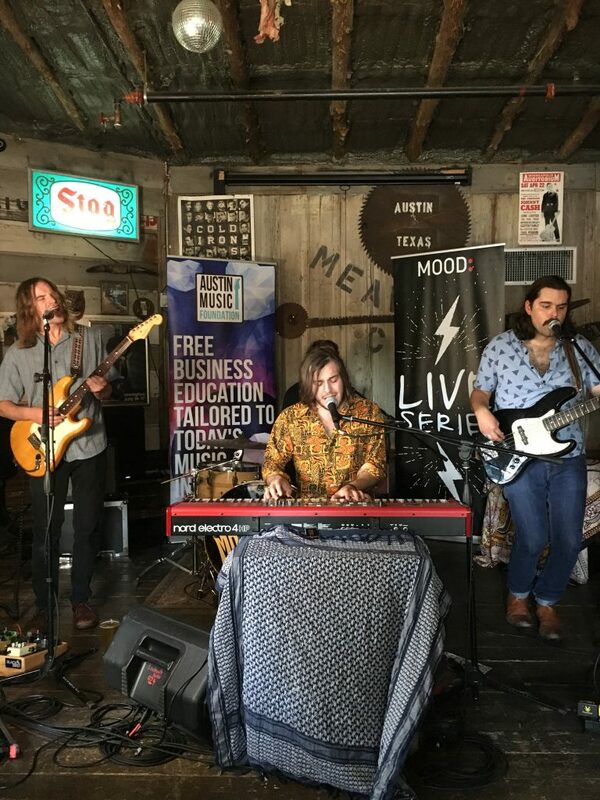 Click HERE for photos and videos from all of our Mood Live performances. Next month we’ll be featuring the incomparable Jackie Venson so stay tuned!